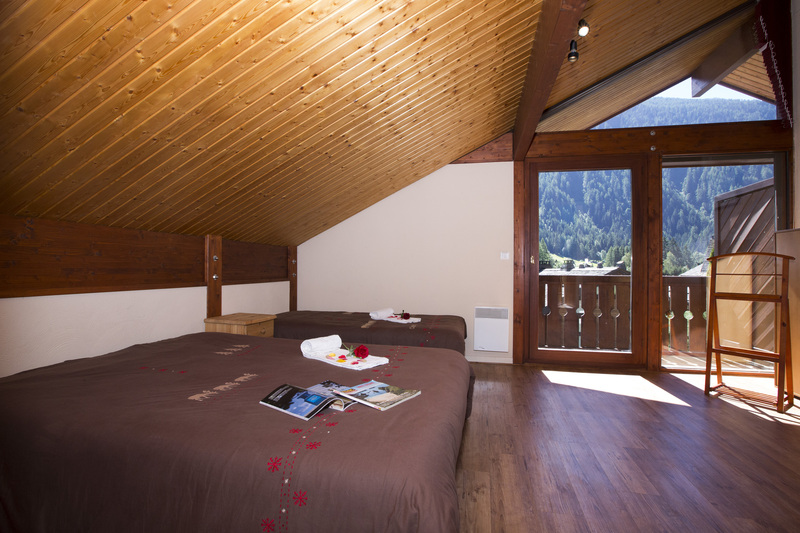 Enjoy a tranquil mountain hideaway near the slopes, with this flexible ski chalet for couples & families! 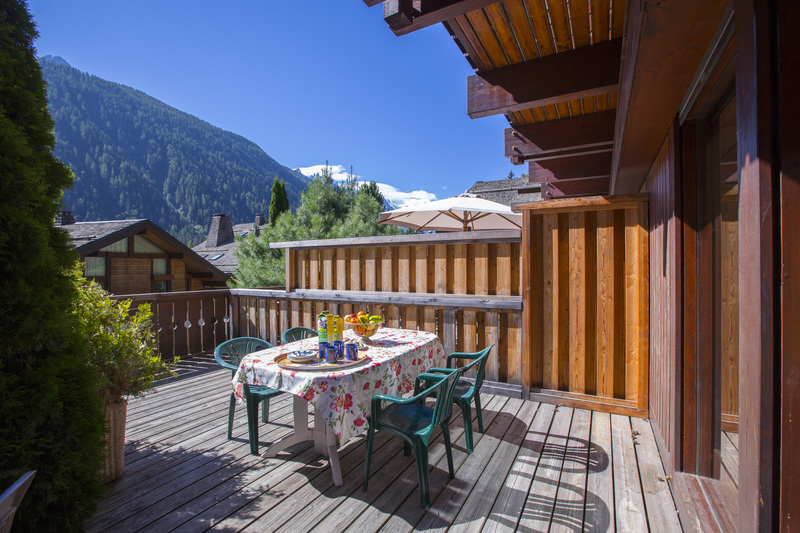 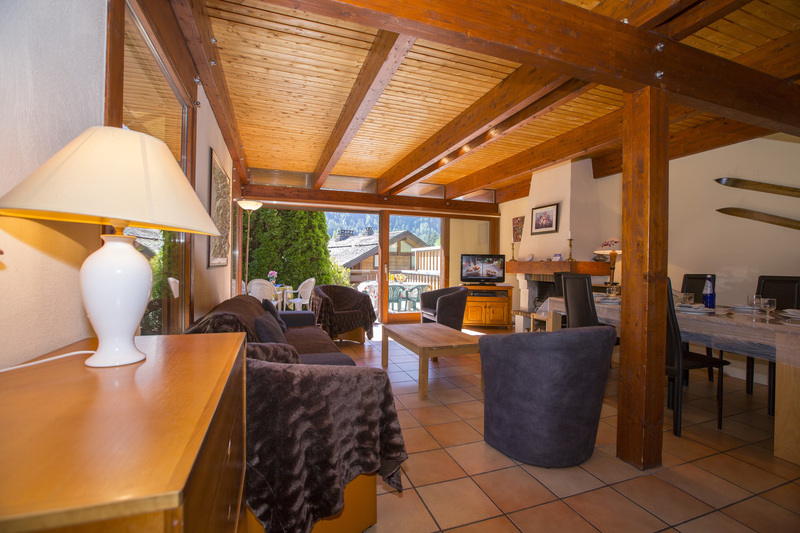 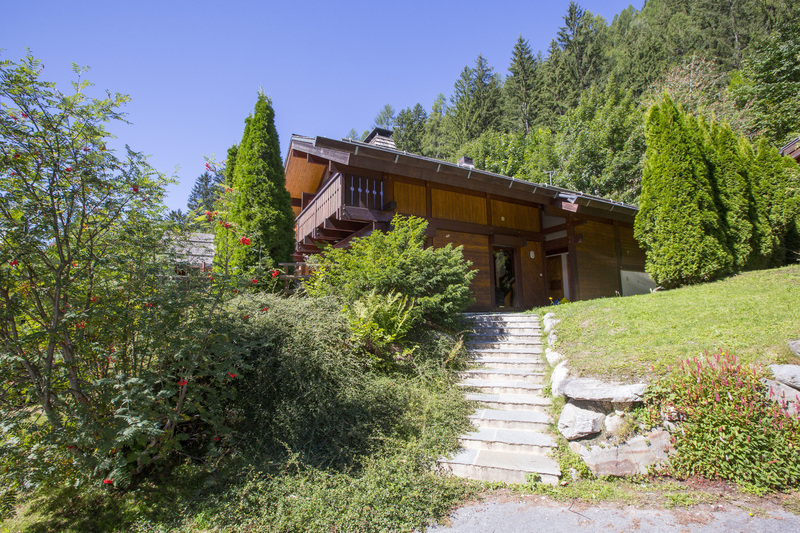 Surrounded by alpine forest, this charming 3 bed semi-detached Ski chalet provides a naturally captivating back drop for year-round escapes in Argentière. 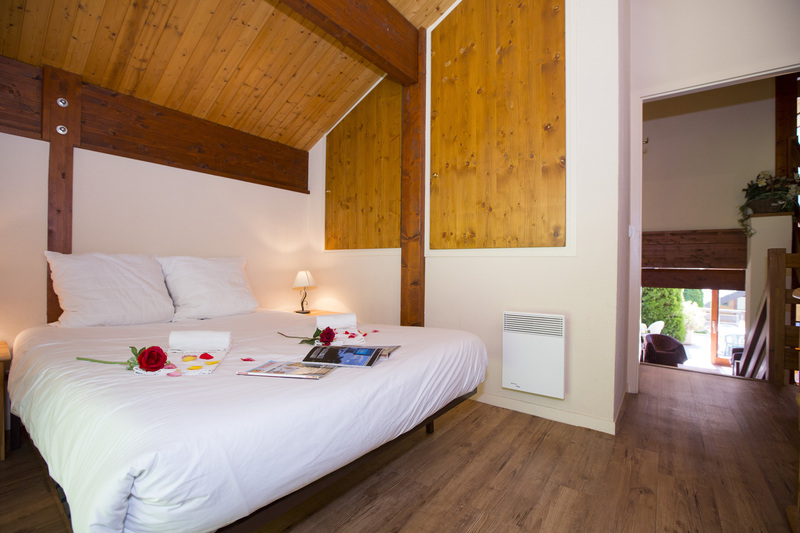 The charming retreat oozes a relaxed and informal holiday ambience. 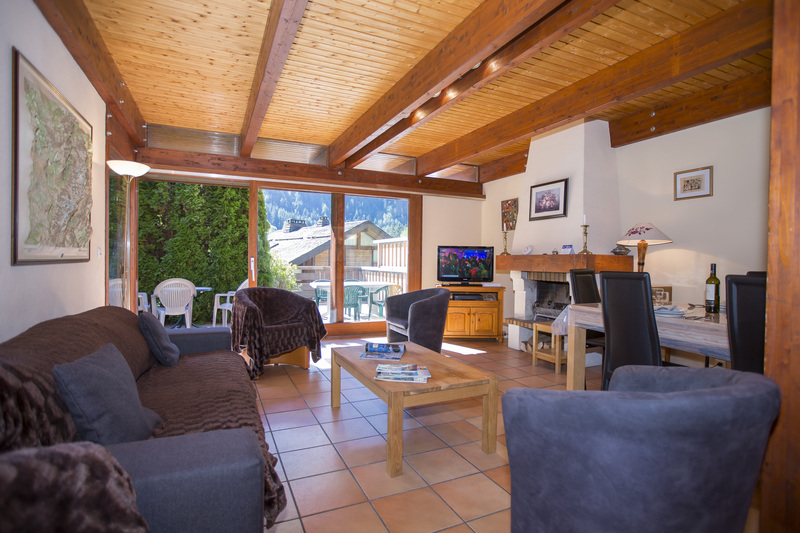 A laid-back open plan Living room with fireplace and dining area leads directly out onto a sunny garden terrace. 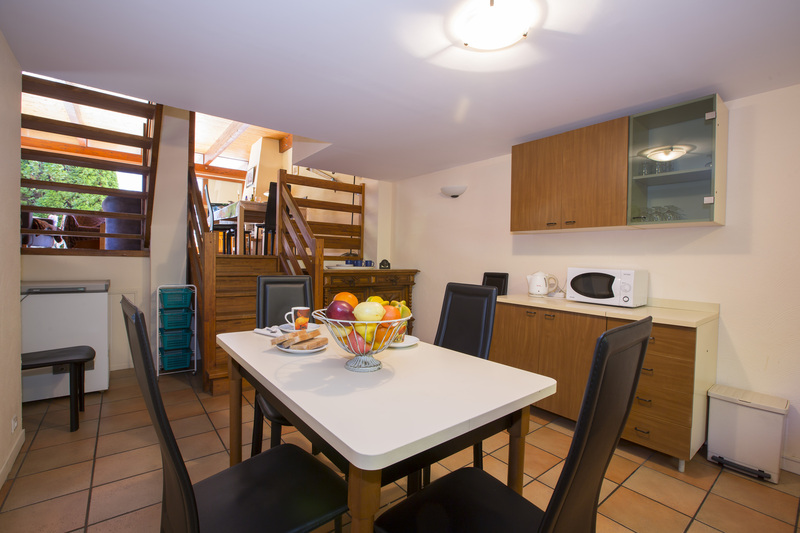 From the authentic budget-friendly Living room, a flight of stairs leads to a Kitchen Diner below. 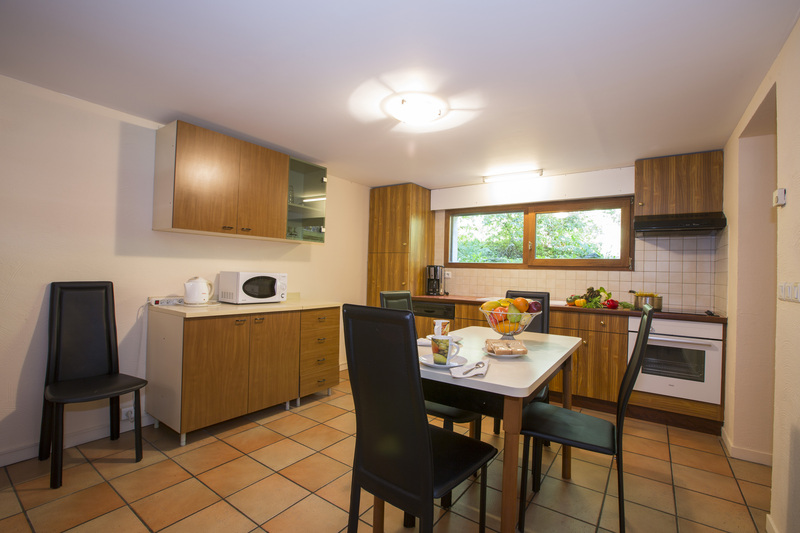 Equipped with an oven, microwave, electric kettle and coffee machine, it enables guests to feel at home whilst away. 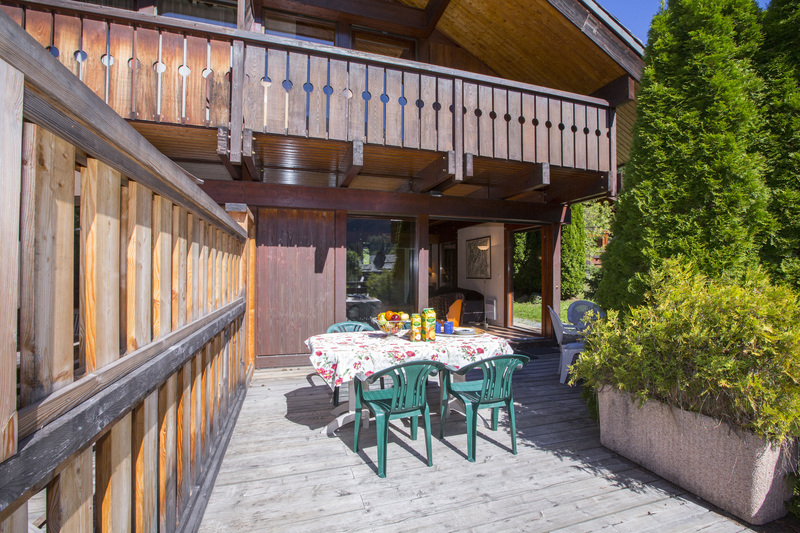 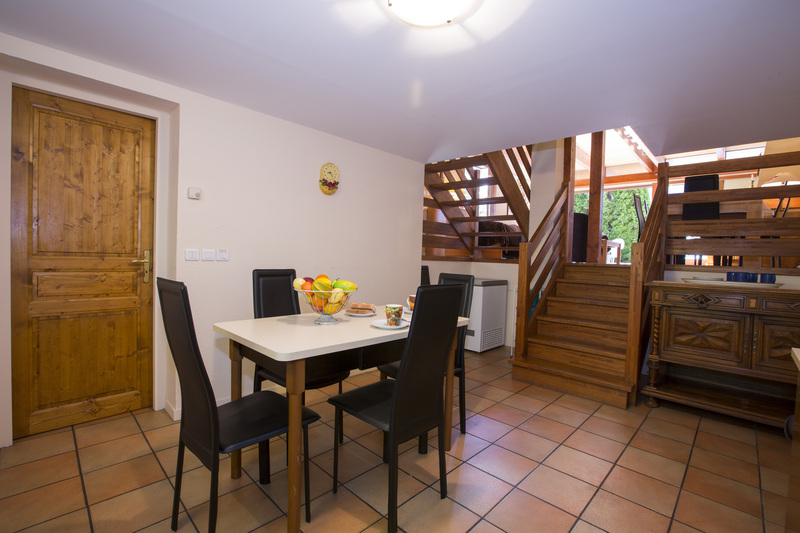 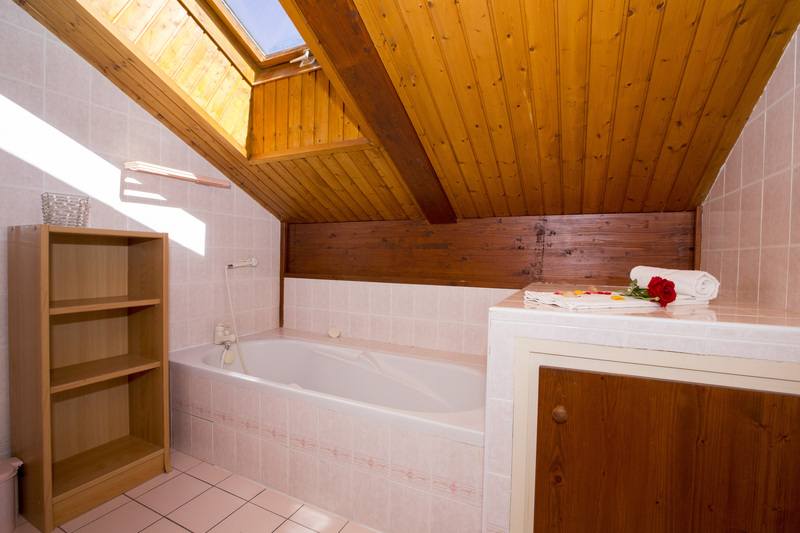 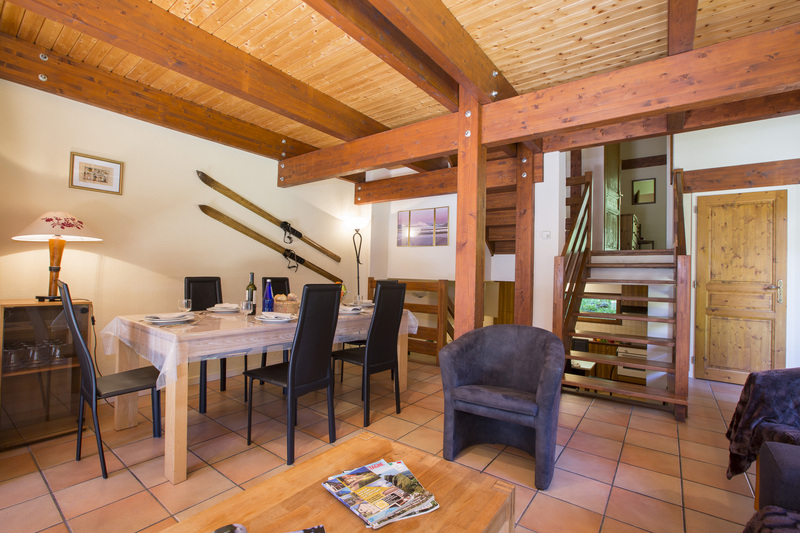 The chalet boasts a wealth of flexibility for couples or growing family groups. 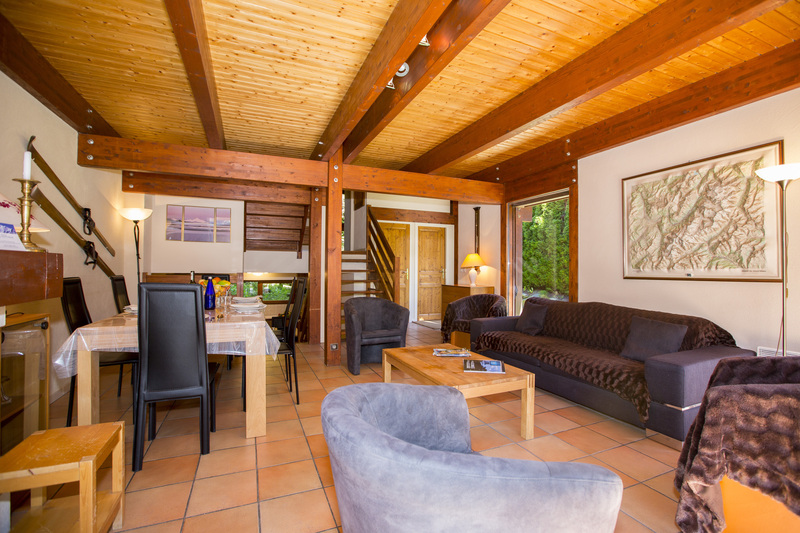 A spacious Double bedroom promises a restful haven for 1 couple, whilst a 2nd mountain-view mezzanine bedroom with Double bed and 2 single beds offers added versatility for family and friends. 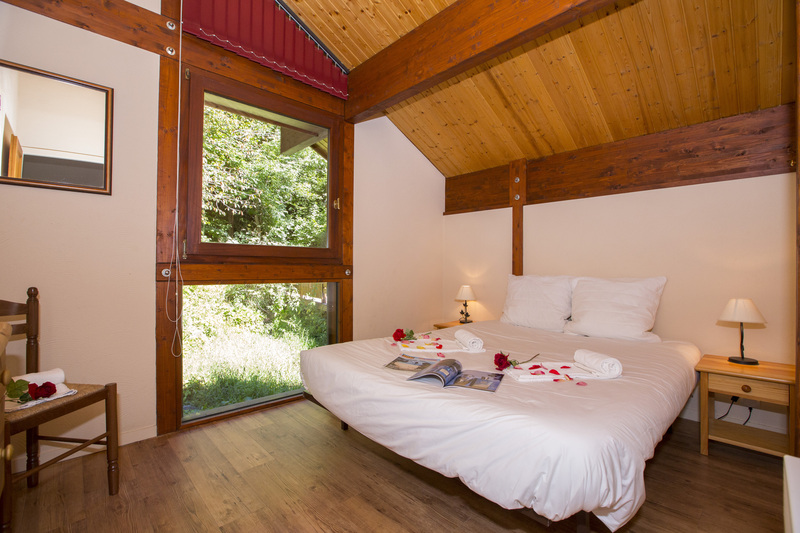 The 3rd bedroom with balcony perfectly suits either a couple or a young family; with a Double bed and Single bed featuring alongside a full En-suite. 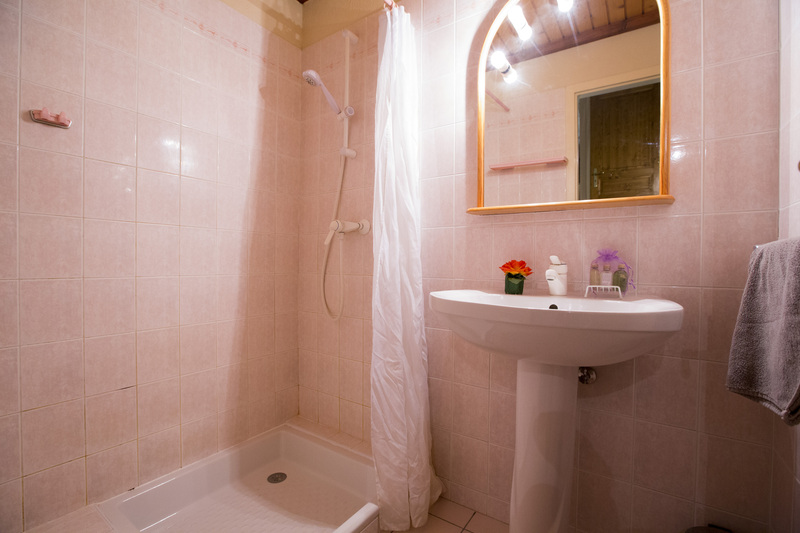 A family shower room is complemented by 2 WCs and private laundry facilities. 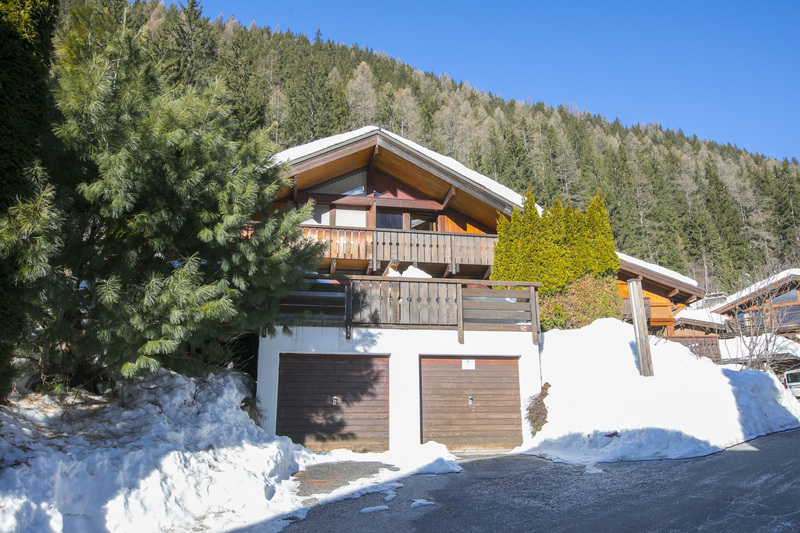 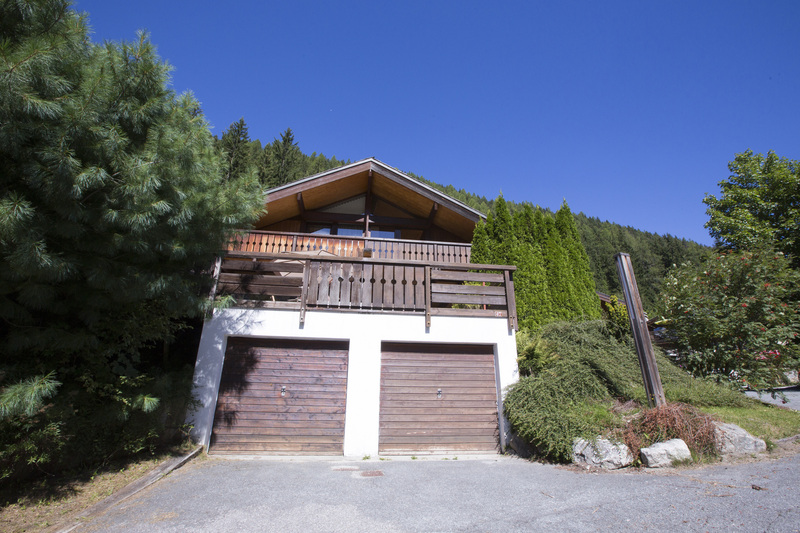 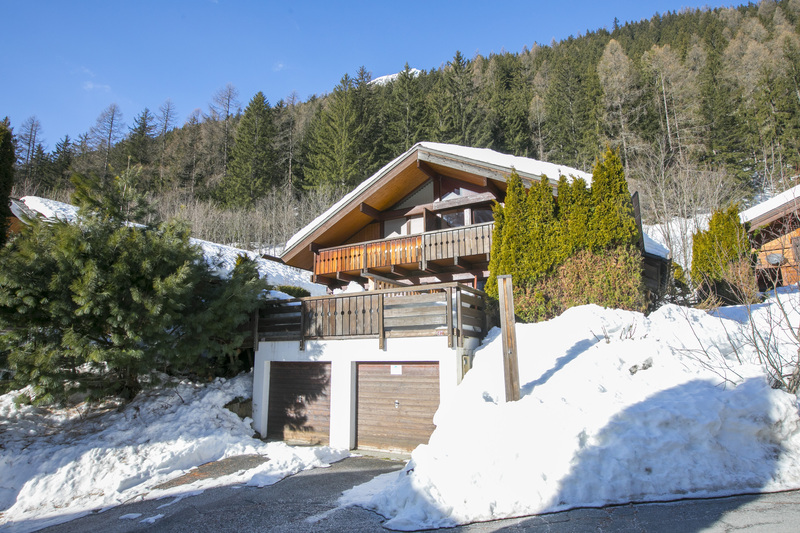 The 4-storey semi-detached chalet also benefits from a private garage and a ski storage room. 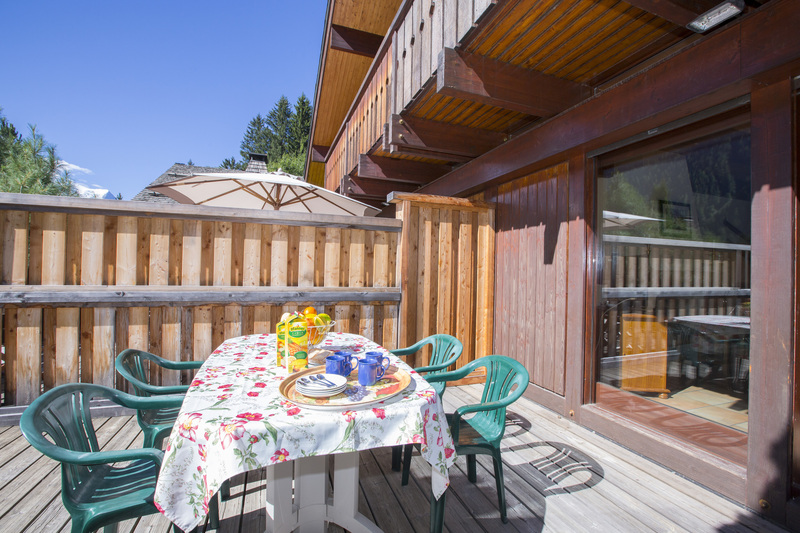 Outside, the utterly charming surroundings are complemented by a river passing behind the property. 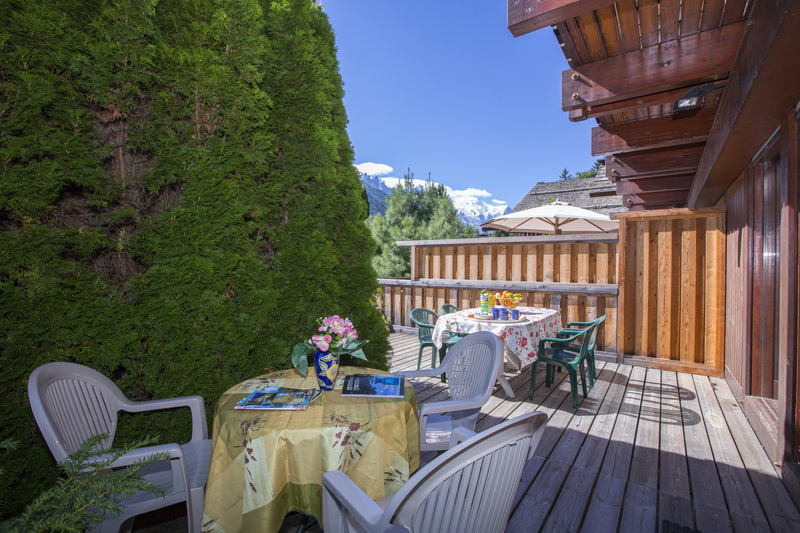 With central Argentière only a 9 minutes’ stroll/ 2-minute drive away, guests are perfectly placed for enjoying a well-rounded self-catering stay. 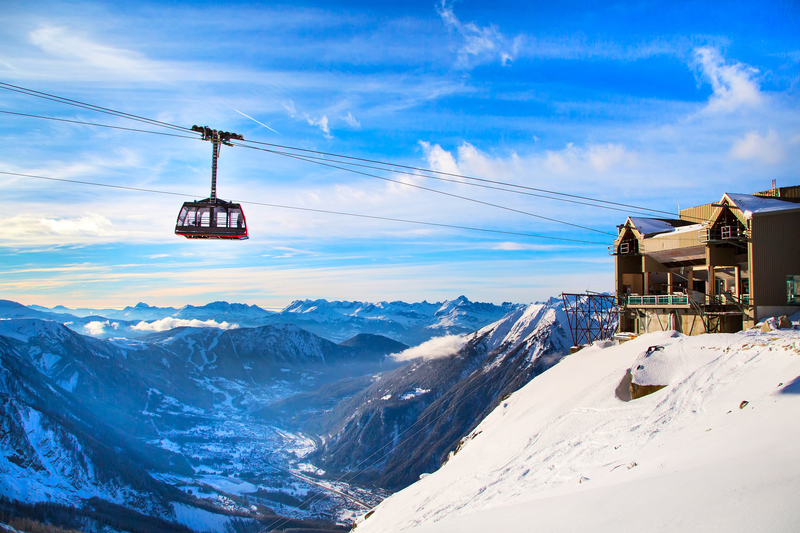 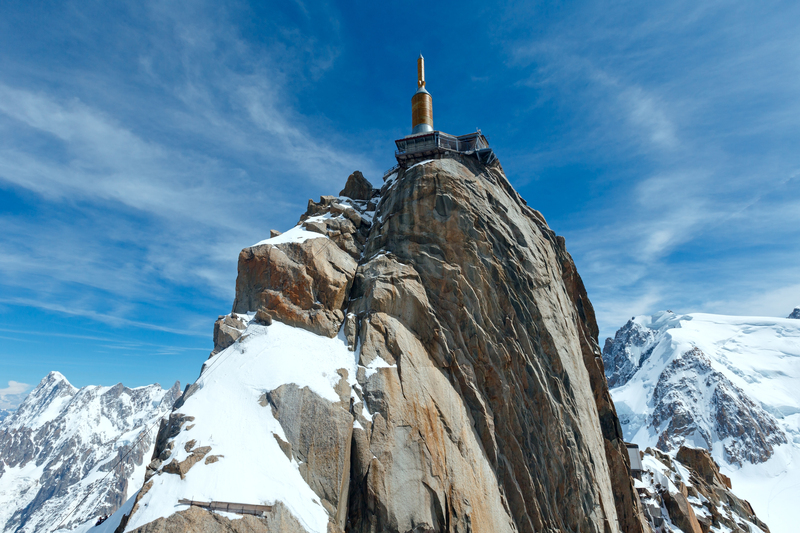 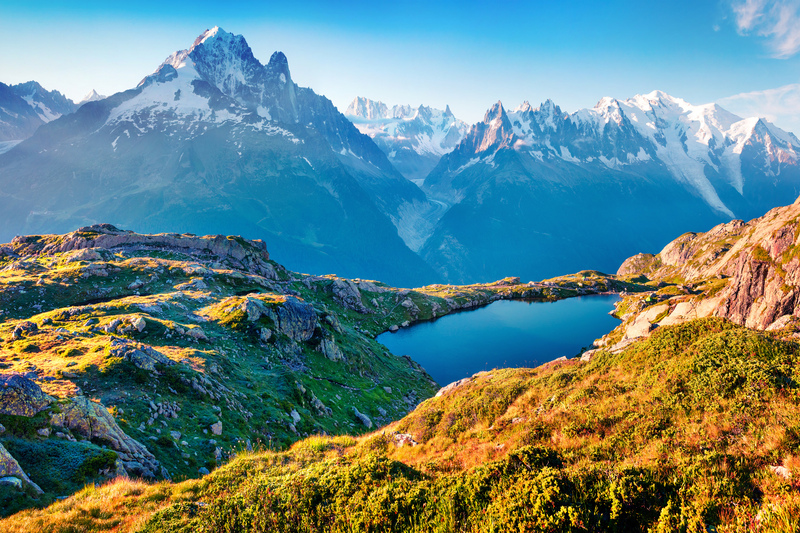 Placed only 13 minutes’ drive away from Chamonix, Argentière is one of the best-loved Alpine resorts for hiking and Skiing, being situated at the foot of Les Grands Montets (a vast, varied area offering a wide range of pistes and extensive powder fields perfect for off-piste enthusiasts). 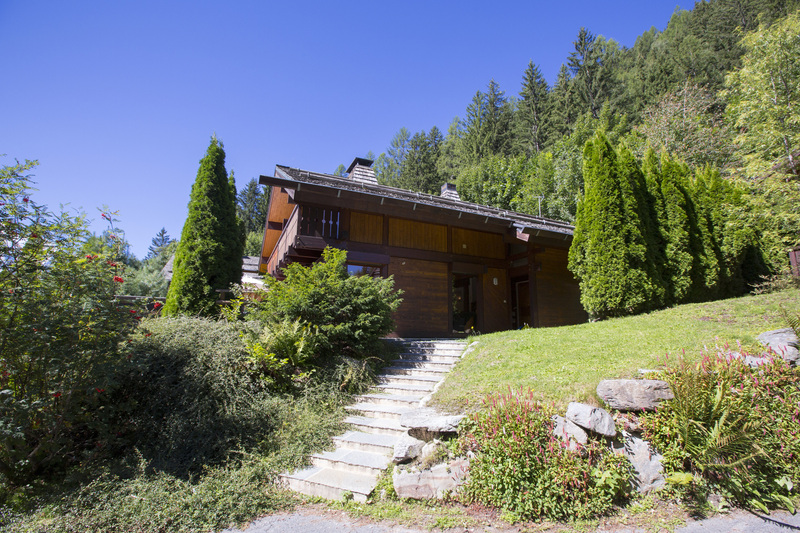 The chalet residence is situated along ‘Domaine de Chantey Moury,’. 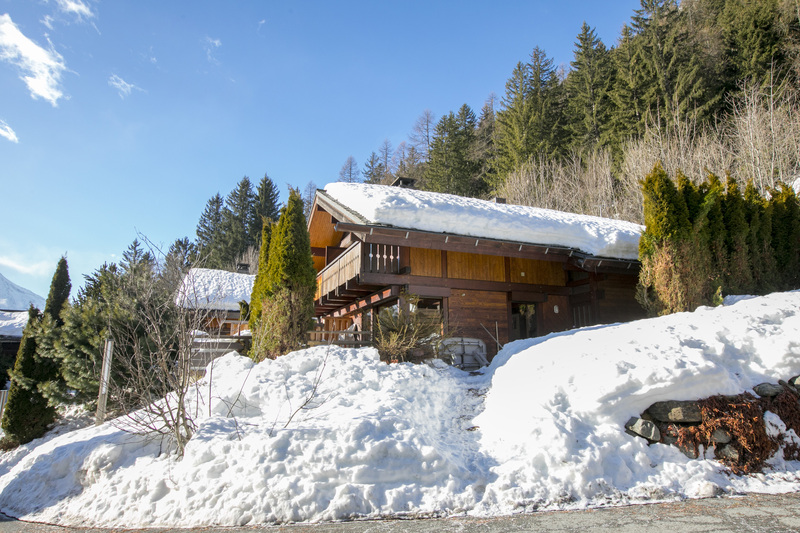 The French eateries, restaurants, cafes, winter sport facilities and resort amenities of central Argentière are only a 9-minute stroll/ 2-minute drive away, whilst Chamonix is 13 minutes’ drive away. 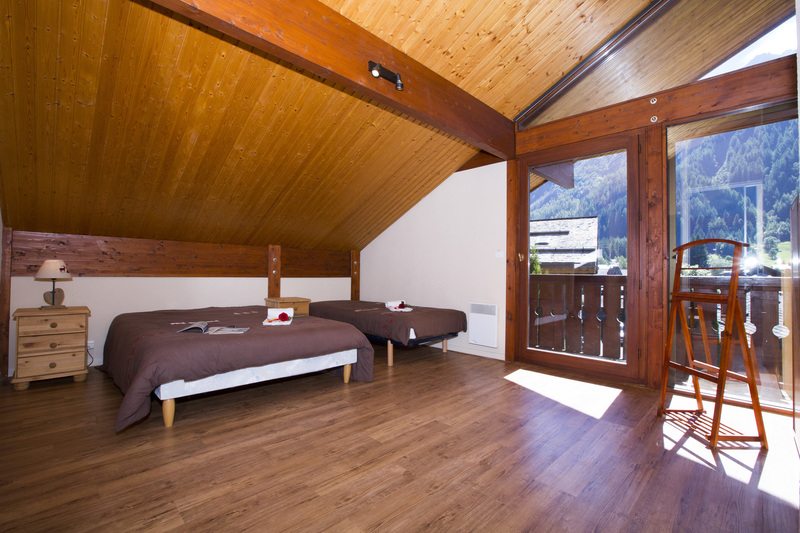 The tree-top climbing Accro Adventure Park and rock climbing crag in Lac des Gaillands are both 17 minutes’ drive away. 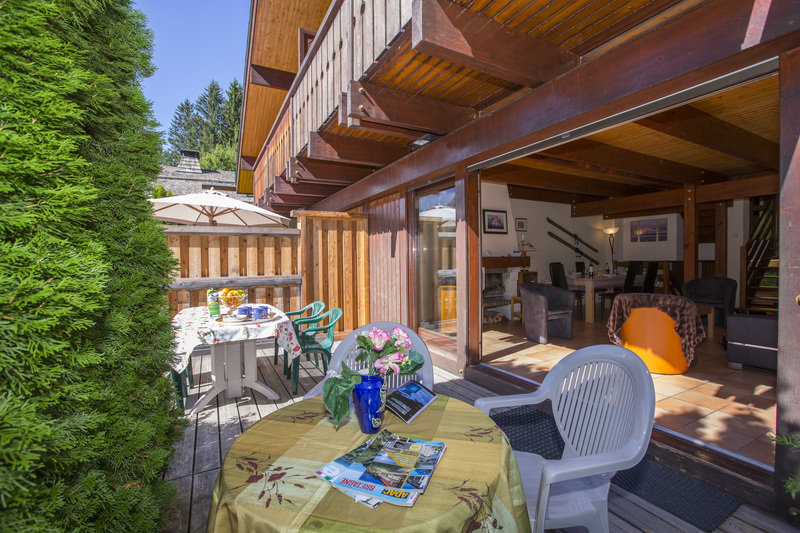 From the charming holiday location, Geneva Airport is 83 minutes’ drive away.